ARCHBISHOP Chrysostomos said on Tuesday the Church was ready to support refugees who come to Cyprus be they Christian or Muslim. 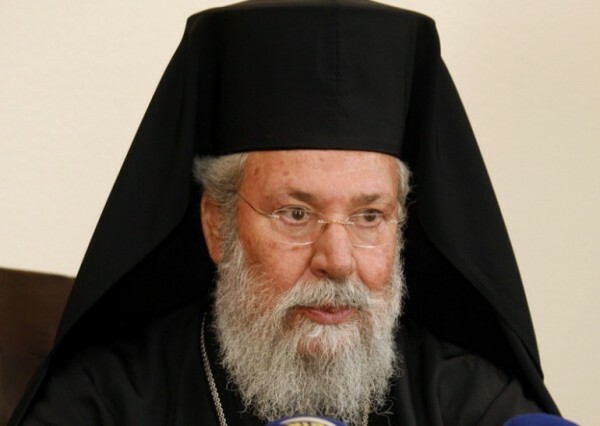 Commenting on Interior minister Socratis Hasikos’ controversial statements made last week that Cyprus would prefer to take in Christian Orthodox refugees, Chrysostomos said the minister was misunderstood. Hasikos himself later clarified that he only meant it in the sense that it would be easier for them to adjust. “He had asked and I told him we have brotherly relations with the Church of Antioch and if Christians come we will welcome them with love, but that does not mean we will reject Muslims. They are God’s children too and of course we have expressed our intention to offer financial aid to the refugees and clothing on behalf of the Church,” he said. He added that the Church was always part of all issues the country was facing and was ready to provide financial support, food and clothing. “We are ready to show our support because no matter how many services the state has, no mater how well-governed it is, private initiative is needed, and I think that the Cypriots are very sensitive. All of us we will support with brotherly love anyone who remains in Cyprus,” he said. The Archbishop said that even though the Church did not have establishments to host refugees, it would assist the government by offering financial aid, food and clothing and “anything else is asked of them”. Earlier in the month, 115 refugees were rescued 40 nautical miles off the island’s south east coast, when their engine died, en route to Greece. The refugees, of Syrian, Lebanese and Palestinian origin, had departed from Syria. Among them, were a total of 35 minor children, some of whom arrived at the temporary reception centre in Kokkinotrimithia barefoot and without adequate clothing. Last week, due to the dense dust in the atmosphere, and the unseasonal heat, the island, they were transferred to the reception centre in Kofinou, which has prefabricated housing. Hasikos had said last week that Cyprus would take in 300 refugees, maximum, under new EU quotas, which have not yet been accepted by all member of the bloc.